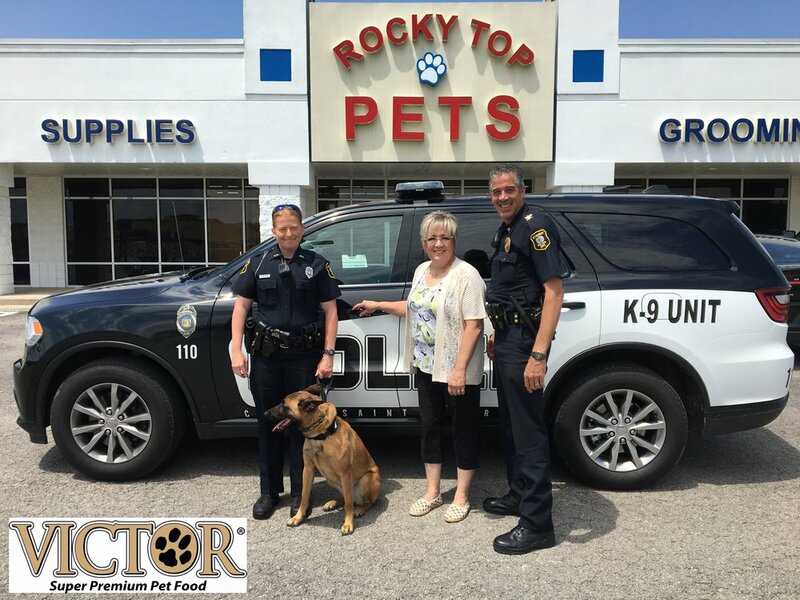 "Rocky Top Pets Donate Dog Food To SRPD K-9, Nala"
Two year old Belgian Malinois, Nala, is one of the St. Robert Police K9's. A couple of months ago Nala began having digestive issues that led to loss of weight and malnourishment. It was recommended that she switch to "VICTOR PERFORMANCE" dog food. "VICTOR PERFORMANCE" is a highly rated brand of dog food manufactured in Texas. Shortly after the switch, Nala began to gain back weight and is doing much better. Rocky Top Pets has donated a year supply of "VICTOR" to Nala for her recovery.